Home » Montezuma Specialty is Deficiency Free second year in a row! Montezuma Specialty is Deficiency Free second year in a row! 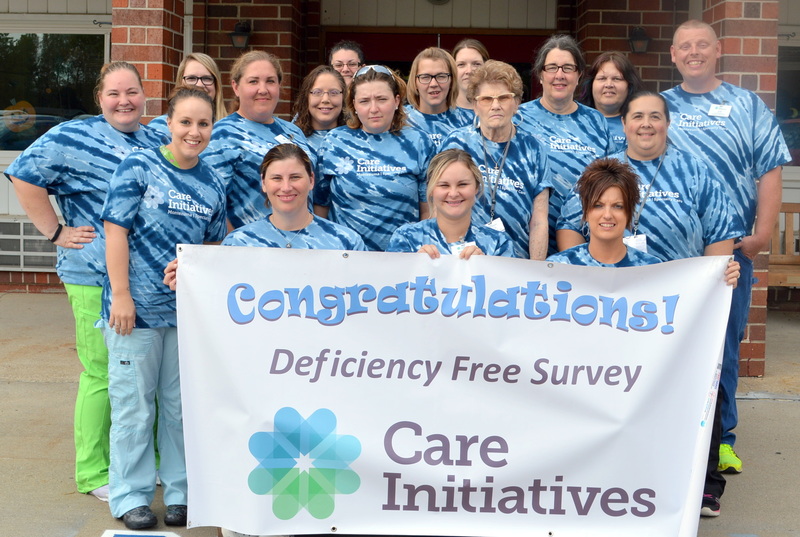 Montezuma Specialty Care is pleased to announce that it has received a “Deficiency Free” result on its annual survey in July by the Iowa Department of Inspections and Appeals. With the increase in regulations, achieving the distinction of a “deficiency-free” rating is very prestigious. It means Montezuma Specialty meets or exceeds all state and federal standards. “Our entire facility, including residents, staff, families and volunteers work together as a team to make Montezuma Specialty Care a safe and comfortable living community. Our goal is to help people with life’s health transition and we think we do a great job of that,” says Administrator Malinda Schultice. Montezuma Specialty Care is a 49-bed skilled nursing facility offering rehabilitation services, skilled nursing care, long term care and hospice care. Its parent organization is Care Initiatives, which proudly serves over 3,000 Iowans through 44 skilled nursing care locations, eight assisted living locations, three senior housing apartment locations, and six hospice office locations. Care Initiatives, based in West Des Moines, Iowa is committed to providing compassionate care for Iowans through all of life’s health transitions. For more information about Care Initiatives, visit careinitiatives.org or call 641.623.5497.